Bridging the Gap strives to provide readily and easily accessible support for youth between the ages of 16-24 residing in the Halton Region who are homeless or are at risk of becoming homeless. Bridging the Gap is committed to fostering a youth directed, strength-based approach to assisting youth in achieving their goals. Bridging the Gap fosters partnerships with service providers in the Halton Region to maintain a positive, reputable, and constructive approach in our service to youth. A transitional youth worker, Kristy works with young people aged 16 to 24 who are homeless or at risk of becoming homeless. Bridging the Gap is the Halton Children’s Aid Society’s community program for Halton youth experiencing some type of housing crisis. For some reason they are not at home with families. They may be couch surfing—staying with a series of friends on a temporary basis—and running out of options. They may be camping out in the woods. They may be in an unsafe home environment and referred to Bridging the Gap by their school, a counselor, the Reach Out Centre for Kids (ROCK) or another service. Read More . 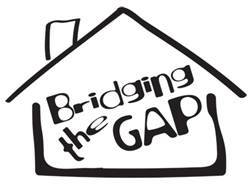 . .
For more information on Bridging the Gap click HERE.